42-year-old Evelyn Ferrars, whose family has gone down in the world, is now in India, the unpaid companion and governess in the family of an old friend, Mrs Stanhope. To everyone's amazement she is proposed to by a great railway engineer. James Rowland is a self-made man, who knew as soon as he saw Evelyn that she was "the one". And she finds him interesting and believes she can be a good wife to him. After all his years of hard work, he plans to return home and live the life he always dreamed of when a poor young engineer. This novel is in part the railway man's story - how he obtains a beautiful house in West Scotland, and how he adjusts to the grown children he hasn't seen for years, Marion and Archie - who have been raised very inappropriately for the type of life they will now be living. But really it is Evelyn's story, who loves her husband (though this middle-aged couple never use the word), and is determined to put right much which is wrong. Her husband is disappointed in his children; and their mistrust of herself makes her task harder. But life becomes especially complicated after the arrival of three more young people: Madeline, the daughter of her old friend Lady Leighton, and Rosamund and Eddy Saumarez, the children of an old fiancé who many years ago had abandoned his engagement to Evelyn at the time she needed him most. When later in the novel there is a breach between Rowland and one of his children, Evelyn turns detective to determine what really happened. This novel is set in a location Margaret Oliphant knew well - on the Gareloch in the West Highlands. 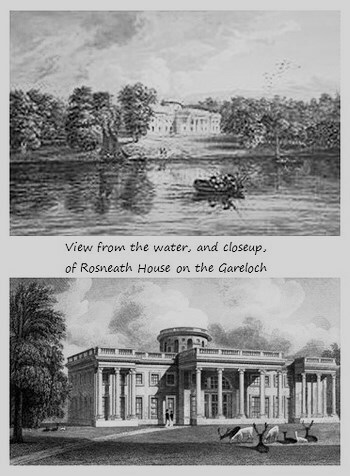 The fictional Kilrossie is based on the village of Rosneath; and the fictional Rosmore House is based on Rosneath House (which sadly no longer stands). The fictional town of Peterston on the opposite shore is based on Helensburgh. Margaret Oliphant herself was second cousin to one of the great railway engineers of the nineteenth century, TA Walker. For more information see The Family Tree of Margaret Oliphant (Section 7, item 22b, footnote 1).